A REPORT FROM the Health Information and Quality Authority (Hiqa) has said that the ambulance service Dublin has “significant shortcomings’ that “put patients at risk”. Hiqa’s review of recommendations it made back in 2014 said that, while a number of improvements have been made, the National Ambulance Service “still lacks necessary capacity” and remains “reliant on overtime to maintain services”. Overall, the report found that more needs to be done to ensure that a modern, effective emergency ambulance service is provided by Ireland’s two publicly funded services: the National Ambulance Service and Dublin Fire Brigade. Instances where a Dublin Fire Brigade resource may continue to be dispatched to such a call in a situation where a nearer National Ambulance Service may have been better placed to respond were identified. Sean Egan, Hiqa’s acting head of healthcare regulation, said: “While lines of communication, formal governance arrangements and working relationship at senior management level within the HSE and Dublin City Council were much improved, a detailed plan for the delivery of emergency ambulance services in the greater Dublin area still does not exist. Furthermore, as things stand, if a patient with a potentially life threatening condition in Dublin calls 112/999 for an ambulance, current arrangements for call handling and dispatch can result in a delay in response due to the process for transferring calls from Dublin Fire Brigade to the National Ambulance Service. The status quo puts patients at risk and cannot be allowed to continue. In a statement, the HSE said it appreciated Hiqa’s acknowledgement that it made changes to address the concerns raised in 2014, but said it was aware that further improvements were required. The changes that have been implemented include the transition of control functions to the National Emergency Operations Centre which adheres to international standards, improved visibility of all ambulances and emergency vehicles at any given time across the country and increased funding which has gone towards replacing an aging fleet. Damien McCallion, HSE national director for the national ambulance service, said that the service was in its second year of implementing a five-year strategic plan which was developed with a range of stakeholders including the Dublin Fire Brigade. He added: “NAS accepts that more needs to be done in some areas of work”. The HSE said that it was continuing to work with Dublin City Council and the Dublin Fire Brigade to address issues identified by Hiqa, such as call taking and dispatch in the Dublin area. Email “Deficiencies in ambulance service putting patients in Dublin at risk, says Hiqa”. 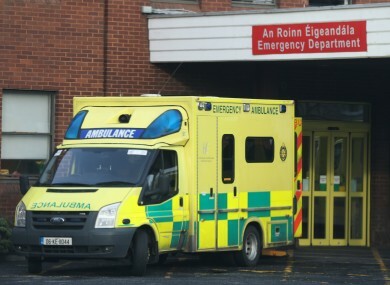 Feedback on “Deficiencies in ambulance service putting patients in Dublin at risk, says Hiqa”.